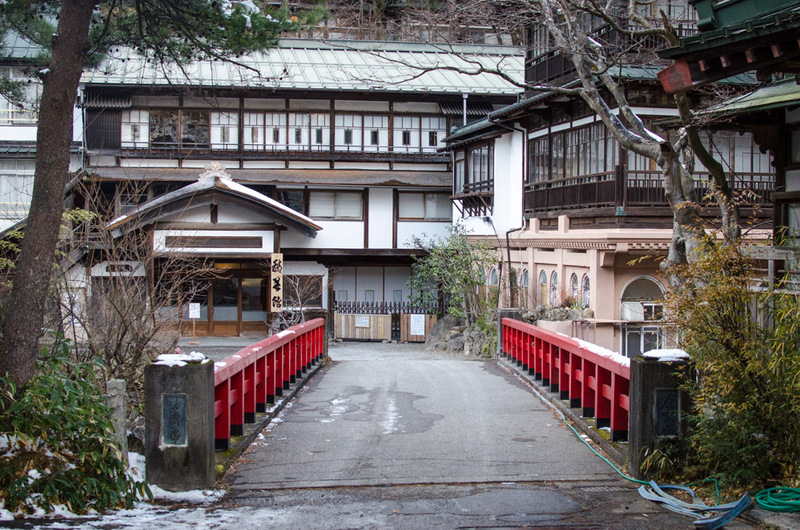 North of Tokyo, in Gunma Prefecture, Shima Onsen is an old hot spring town full of history. This sleepy onsen town, nestled in the mountains, was an inspiration for Hayao Miyazaki’s famed movie “Spirited Away.” And in 1954, Shima was the first Nationally Certified Onsen, hot springs that are recognized for waters with potential health benefits. Shima Onsen is one of the best onsen near Tokyo. Shima Onsen was established in 989. Legend says that a historical figure got a divine message from the mountain deity during his sleep. The deity told him that, in recognition of his devotion to the sutras, he would give the man a hot spring to cure 40,000 illnesses. When the man awoke, hot spring water sprayed up from the ground by his head. He built a temple to worship Yakushi, the Buddha of Healing. Recognized as a Nationally Certified Onsen and said to cure 40,000 ailments, the water at Shima Onsen offers great health benefits. 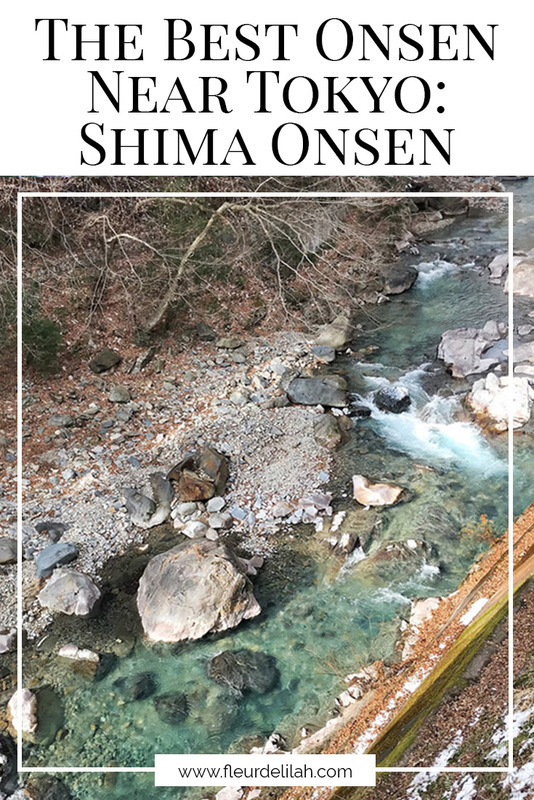 Shima Onsen is a sodium and calcium chloride hot spring, and its waters are great for the skin. It is said that the water here helps with rashes, burns, abrasions, dry skin, and even anti-aging. Additionally, Shima Onsen hot spring waters help with fatigue and muscle and joint pains. Taking a bath in these waters helps increase blood circulation, improve metabolism, and warm the body. When in Rome! Or in this case, Shima. Shima Onsen is an onsen town, so try one of the public baths. Shima Onsen has three: Kami no Yu, Kawahara no Yu, and Gomuso no Yu. These baths are open to tourists from 9:00 to 15:00 and are free-of-charge. In addition, the town has two bathing facilities that have a usage fee. Koshiki no Yu is by Lake Okushima and costs JPY 400, while Seiryu no Yu is on the other side of town by the Shima River and costs JPY 500. Footbaths are also available for a break while walking around town. In the center of town, Ochiai-Dori is a tiny street where many restaurants and shops are located. Additionally, you’ll find Yanagiya Yugijo, a game arcade with old-fashioned pinball-like game machines. Take a look around and have a go in the arcade. Various hiking trails weave through the mountains surrounding Shima Onsen town. These trails are very peaceful and have beautiful views of the forest, the river, and waterfalls. Some trails are short, lasting only 20 to 30 minutes, while others last a few hours. Take your pick, but be aware of when the sun sets or risk finding your way in the dark. Also, stay alert and bring a bell (ask the ryokan if they have one) if hiking anytime between spring and fall as bears live in these mountains. One of the most beautiful things of this area is its crystal clear water. During the warmer months, visitors can rent canoes and standup paddleboards to enjoy the lake. And for the more adventurous, canyoning tours are available. If you love contemporary art, try to check out the Nakanojo Biennale. Happening once every two years, the Nakanojo Biennale is a one-month long art festival that takes place in September around the whole area of Nakanojo. Over 130 artists, both international and domestic, are featured during the event. Multiple events and workshops are offered during the festival. Because the event takes place throughout the five towns that make up Nakanojo, a car is recommended. With a recipe over 50 years old and featured on multiple variety TV shows here in Japan, the unagi (eel) at Kurenai restaurant is some of the best you will have in your entire life. The restaurant specializes in eel, grilling it over charcoal using hot spring water and painting a layer of their special sweet-savory sauce on top. The restaurant is at the end of Ochiai-Dori, along the Shima River. The unaju box costs just under JPY 3,000. Another dish to try in Shima Onsen is the yabenaki udon at Shogetsu restaurant. This comfort food will warm your body on cold days and is considered a Shima specialty. Yabenaki udon is made with seasonal wild vegetables that are found local to the area. A bowl of yabenaki udon costs JPY 750. For a little snack, try the yakimanju, or grilled steamed buns, at the road-side stall Yakimanju Shimamura. 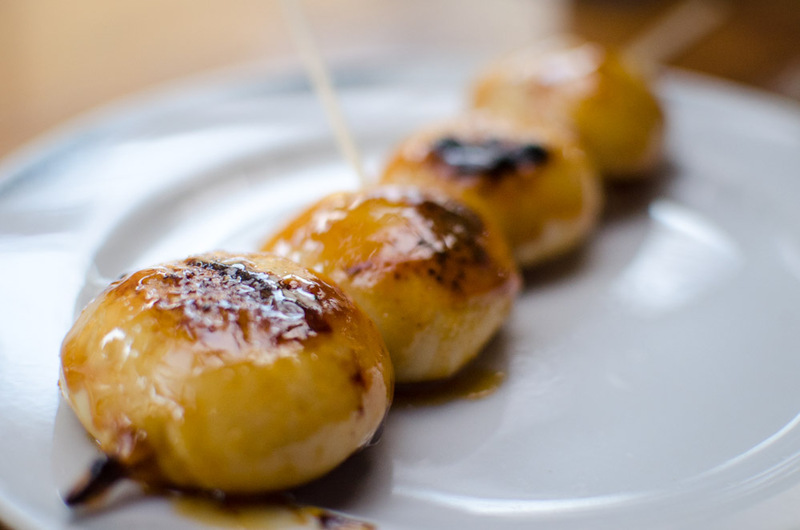 This Shima Onsen favorite is grilled over charcoal and slathered in a sweet and sour sauce. The little stall has seen many Japanese celebrities, and photos of them with the sweet old lady who owns the stall hang on the walls. A skewer of three large buns costs JPY 200. Just across the way from Ochiai-Dori, Sekizenkan is a ryokan that is over 300 years old. And, it is also said to be the oldest wooden hot spring accommodation in Japan. Its beautiful exterior and red bridge were an inspiration for “Spirited Away” by Hayao Miyazaki. On the south side of town is Kashiwaya Ryokan. This ryokan is extremely luxurious, with public baths, three open-air private hot spring baths, and select rooms having en-suite baths. Kashiwaya has vegetarian and vegan options for meals (advance notice is required). With just seven rooms, Yamabato offers visitors a very personal experience. Located near Hinatami Yakushi Shrine, this ryokan is set away from the crowded central area of town. Yamabato has private hot spring baths. Over 500 years old, Shima Tamura looks as though it’s a set for a period drama. The ryokan has an exquisite exterior featuring a hip-and-gable roof. Shima Tamura has seven baths and serves a menu of authentic dishes that changes monthly. 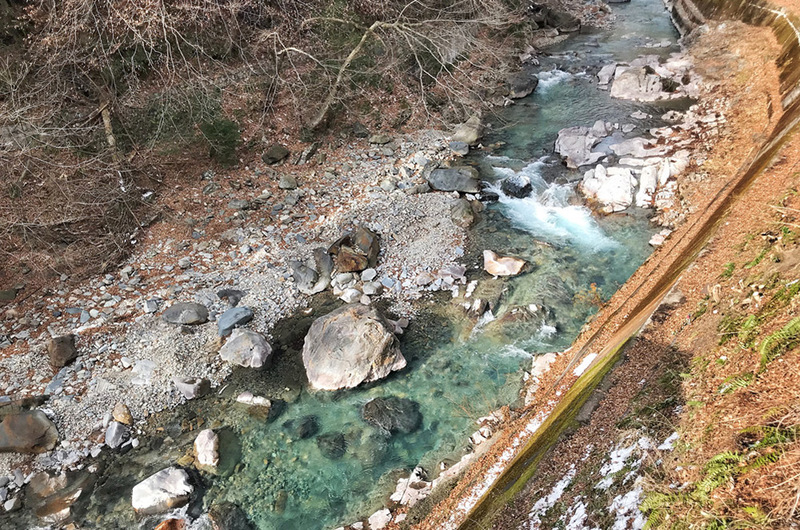 Gunma has four distinct seasons, and Shima Onsen is beautiful in each. In spring, you can see the cherry blossoms. In summer, you can enjoy the water. In fall, you can view the autumnal hues. And in winter, you can bathe as the snow falls around you. Shima Onsen is located in the town of Nakanojo in Gunma Prefecture. 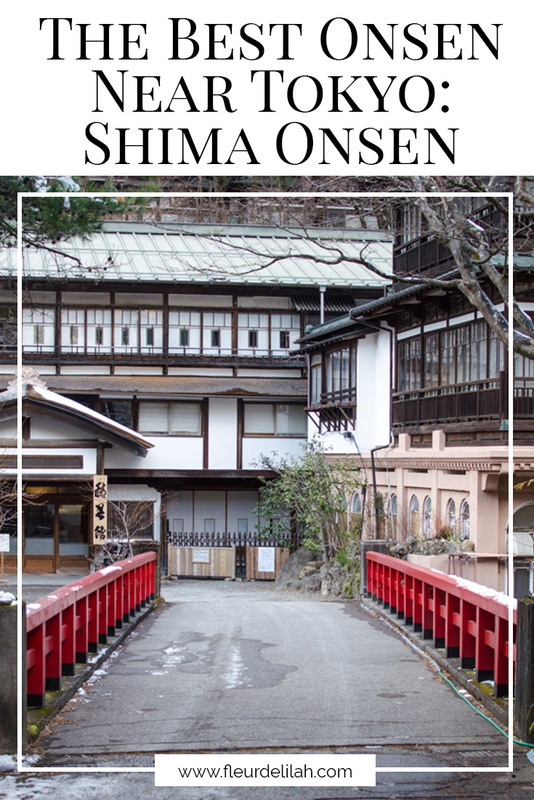 From Tokyo, visitors can get to Shima Onsen by train, car, or bus. The trip takes between three and four hours and costs anywhere from JPY4,000 to JPY6,000 depending on which mode of transportation is used.